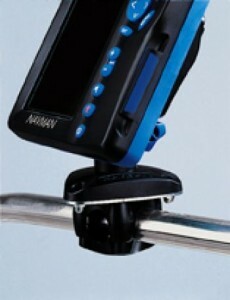 For Tracker 5000 series, Fish 4000 series & TrackFish6500. • Plasticlip to be adapted on any rail Ψ 18.5 to 25.5 mm, designedto fit bracket-mount instruments. • 2 mm thick plate, 316 stainless steel. Supplied with 7 st. steel screws and nuts.